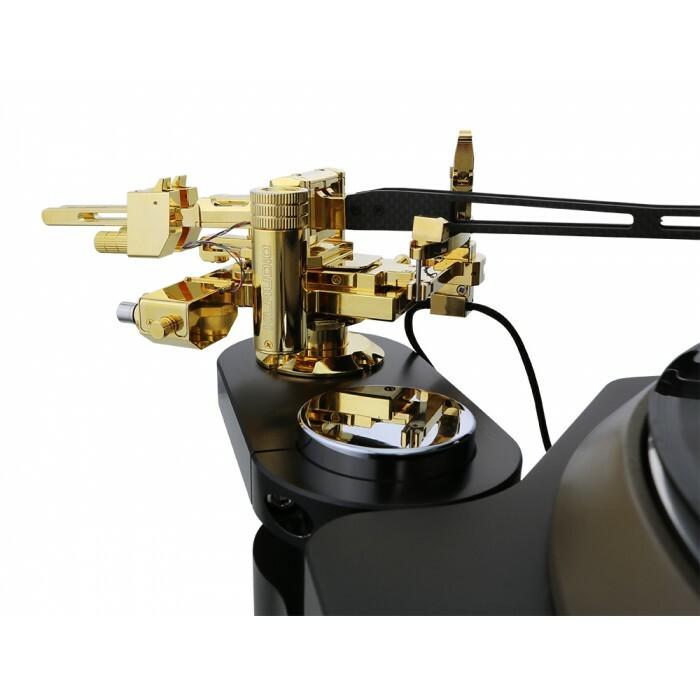 Klaudio models KD-ARM-AG10 (10.5-inch equivalent) and KD-ARM-AG12 (12-inch equivalent) tonearms add automatic lift and electronic descent features to the tangential lineup. The arms can be dropped or raised at the press of a button, and they automatically lift at the end of playback. These versions are gold plated with carbon fiber arms. 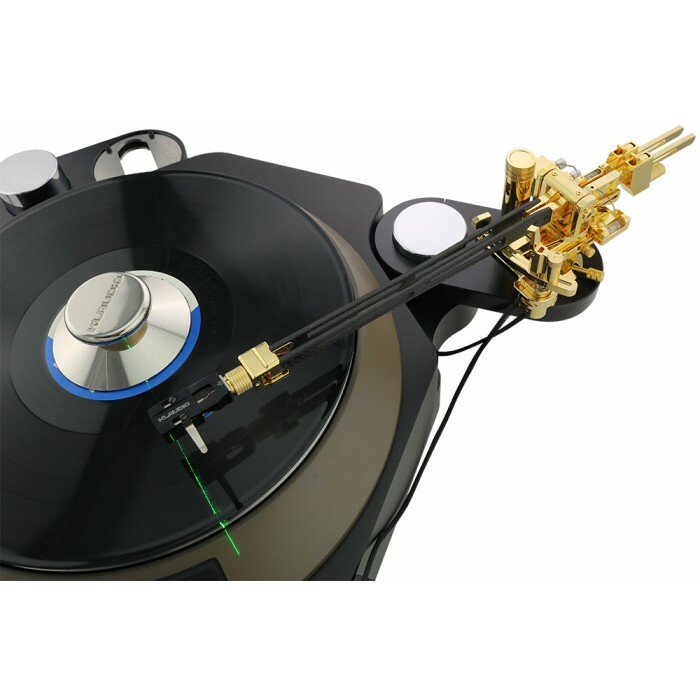 Klaudio's tonearms are true mechanical tangential tonearms, providing the advantages of linear arms without the cost or complexity of air bearings. To achieve 0-degrees of tracking error, they not only pivot but glide longitudinally on ultra-precise bearings. This keeps the needle on an ideal tangent, which can be confirmed with the included laser-projection tool. The actual installation process for Klaudio tonearms is in many ways simpler than traditional arms. There are some unique steps to become familar with, but things like overhang, null point, angle calculation, and skating are irrelevant. 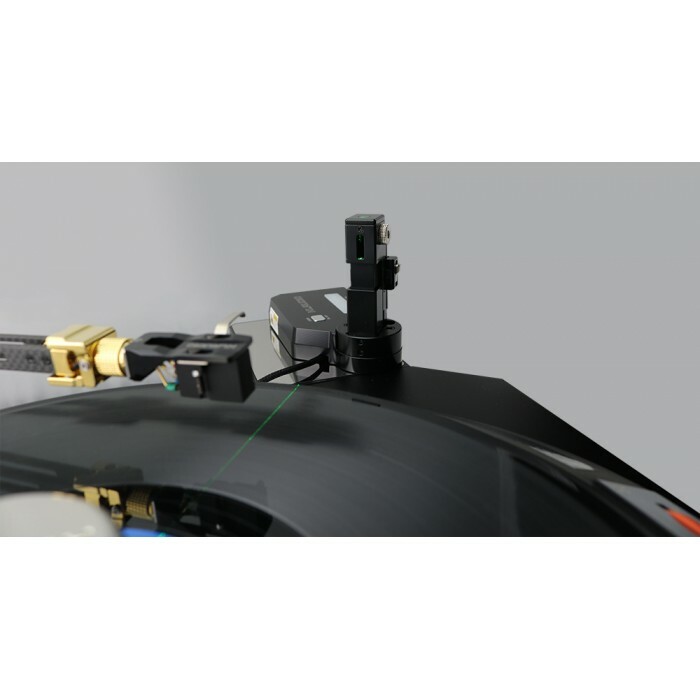 Cartridge swapping is effortless and tool-less, and realignment is performed visually with the included tangient laser. 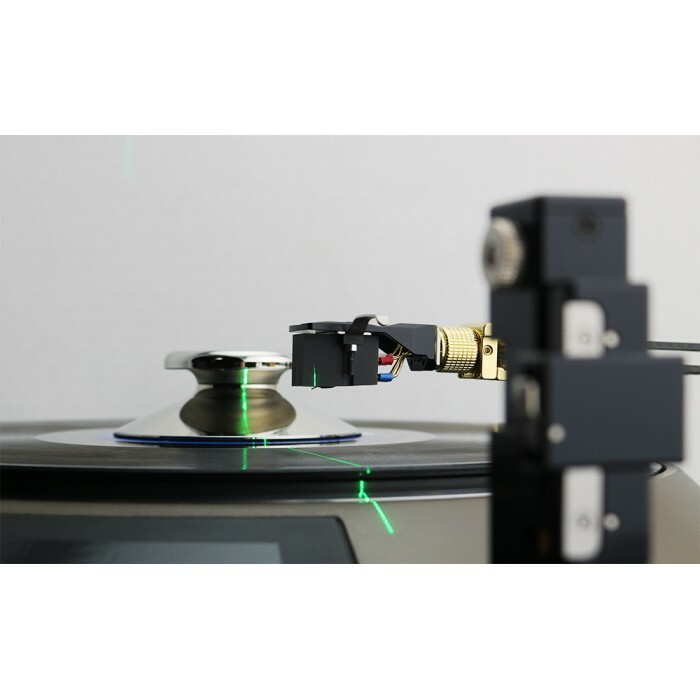 When setup, the green laser will continuously illuminate the cartidge needle as it is swung across the platter. 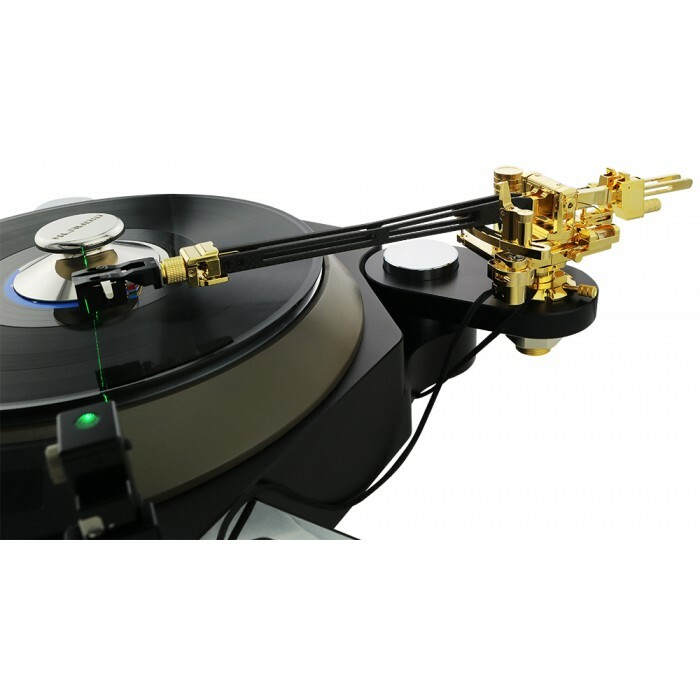 Please note that setup or useage of the laser is not required in order to use this tonearm. 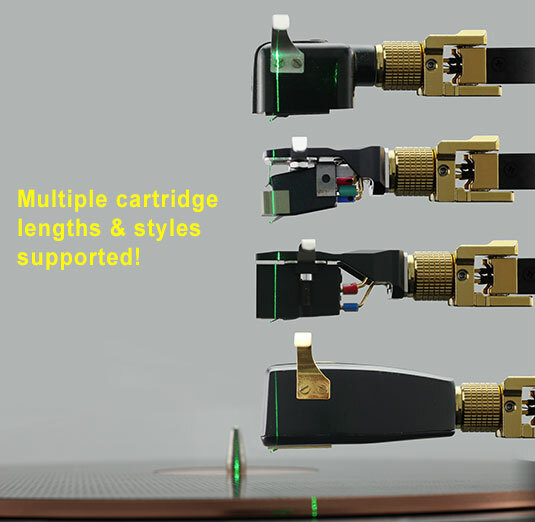 Although pivoting, Klaudio tonearms do not rely on proprietary headshells. Numerous cartridge lengths, weights, styles, and ages are supported. Two different Klaudio headshells are included. 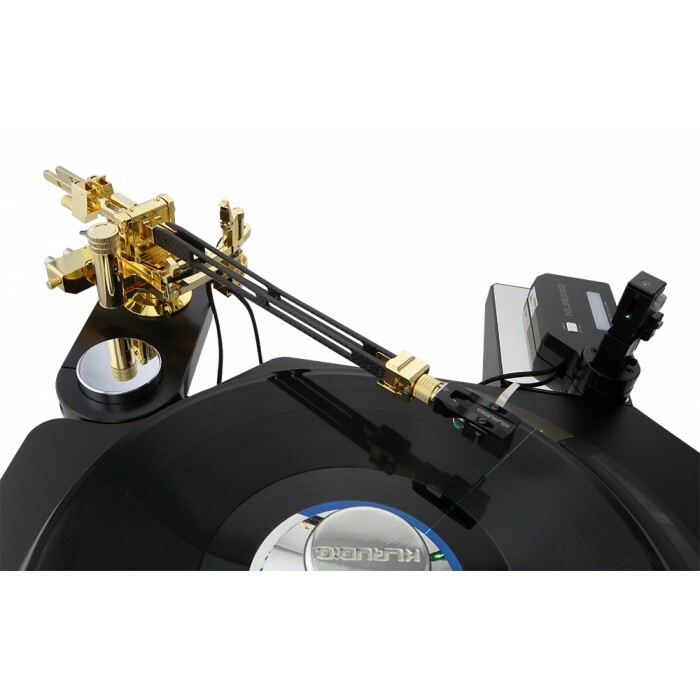 NOTE: As an alternative to traditional turntable installation, Klaudio optionally offers the KD-BAS-ARM01 freestanding tonearm base (sold separately).